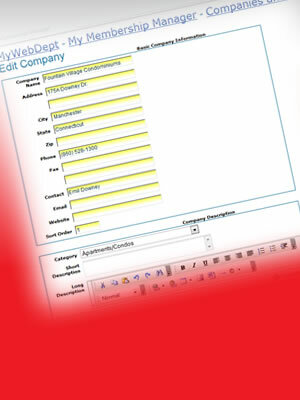 Membership Management, User Management System by Laubacher Multimedia Inc.
Companies, clubs, and organizations can easily manage their membership online using our Membership Manager. 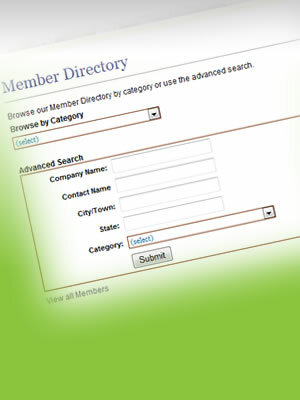 This tool can be used in many different ways to provide special acess or to publish member directories online. Our Membership Manager can be used for and business or organization that relies on membership or a member/business directory. 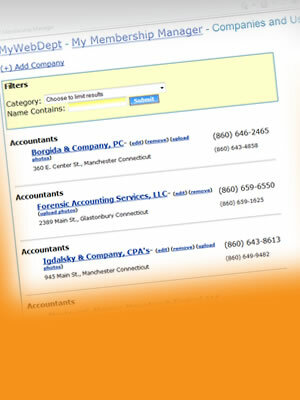 Create a business directory for a chamber of commerce, town, or region. Organizations can easily manage members and provide member-online content. Easily manage, add, or update your membership list from any computer.. 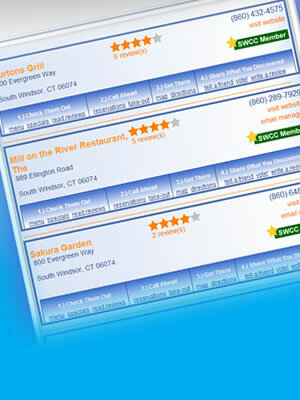 Membership Websites is one of our specialties. Call Laubacher Multimedia today at 860.305.5690!